71% of companies feel their current leaders lack the skills to lead their organization into the future. Here are 4 ways to set achievable goals for your organization with a bonus whitepaper!Tweet This! Goals Should Be Specific: Instead of “Increase Revenue” try “Increase revenue by cross-selling ACME Widget by 15% before July 15th”. Vague goals can cause harmful consequences and misunderstandings. Goals Should Be Motivating: Have your managers ask if the goal is motivating: Is it aligned with our values? Does it speak to this employee’s stated values and career goals? Will the employee or department grow because of this goal? If you don’t know the answers to these questions or worse, the answers are NO, you need to reassess whether the goal is motivating. 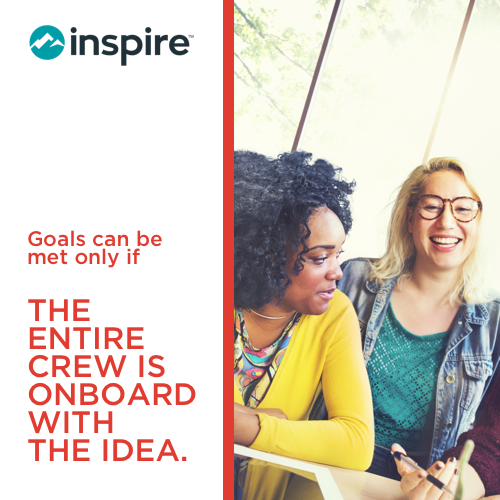 Goals Should Be Attainable: Are you interested in creating a discouraged and disengaged team? If your goals outpace the the baseline productivity or ability (without any additional budget or staff) then it’s probably not attainable and will only serve to create tension and frustration with the team you’re trying to motivate. Goals Should Be Relevant: Here are some questions to determine whether or not the goal is relevant: Is the goal the most important goal for you/the employee in a key area of responsibility? Is this goal so important that if not accomplished, at a satisfactory level, it could be said that the key area of responsibility was not fulfilled? Is this goal a high priority for you in relation to other goals? For example, take an employee who struggles with punctuality, but soars in tactical areas of their role. While you might want to set a goal about starting their shift on time, it might be more beneficial to productivity if their goals were more focused on increasing their managerial skills and learning additional strategic tools. Your organization will benefit more from the additional development and less from their arriving at 9 AM instead of 9:15. Read More: Our white paper is the ultimate guide to creating incredible, achievable goals! At the time you choose to set organizational goals, make it a point to implement a goal management system that is pre-defined based on your business needs. The system should help you achieve your goals by having goal management system in place containing your corporate goals, individual goals and any issues that are blocking the realization of either. Why do you need a goal management system? Build your unique performance structure. Offer consistent collaboration, accountability and checkpoints. Corporate #goals should be Specific, Motivating, Attainable, Relevant and Trackable or SMART: What is a #SMART Goal? @InspireSoftware breaks it down for you!Tweet This! Achievable goals are those that are well-planned from the start. If your project needs certain fiscal resources to be diverted toward completing the task, then plan this from the beginning. If your project needs you to put aside human resources to complete the task, then plan this in a systematic way. For instance, companies are often swamped with work during the holiday season - having staff members in the store depending on the volume of expected work can help you achieve your set goal of customer satisfaction and increased sales during the holiday season. Having back up staff members ready in case of an increased volume of customers, or in case some of your front line of defense staff cannot make it, should be your backup plan. The same holds true for a company opening a new office, trying to build out their succession plan or readying themselves for the launch of a new product. Take the Quiz: Do Your Employees Feel Rewarded at Work? Allowing employees to select their own goals. In many organizations, the manager selects and assigns goals to the employees. However, some research has shown that selecting one’s own goals may be even more effective. Either way, output can improve by up to 15% when goals are established. Companies thrive when the organization has set goals that the employees can refer to, adhere to and strive to complete. Need help doing that? Here are proven ways via @InspireSoftware:Tweet This! Have You Set Organizational Goals for the Next Year? Fixed goals with achievable action plans, back up plans, working on a set system and communicating the goals to staff members are important to help your company flourish. For the best results, follow the above tips to start building a goal-focused organization. Need Help? We are a team of consultants, trainers, professors, authors and technical experts that want you to help you develop leaders and grow your organization. Our approach is to take award-winning, research-based leadership content and apply it on an enterprise scale through software. We are passionate about increasing your employee engagement and creating an awesome productive culture. 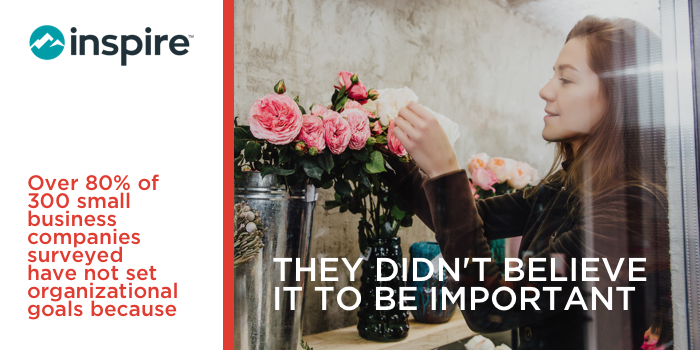 We offer a full-suite complement of leadership and software services, including: implementation, training, consulting, and coaching services to help you maximize your results with Inspire. Your organization is unique, so we offer services that can be customized to fit your needs and budget.